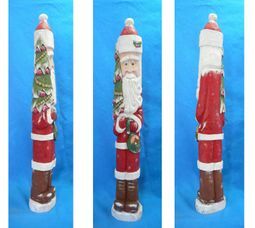 This 24" inch hand carved Santa Claus figure is exquisitely hand carved and painted in acrylic. 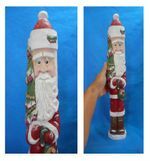 Santa Claus is shown with Christmas tree and Sack. Measures: 4"w x 4" x 24"h.